When I bought my tickets today from Crewe to Euston I was made aware that due to track work there was no direct trains, so a 1:50 journey was to take 3:30. I decided then to upgrade to first class, since it would be quite a long trip. 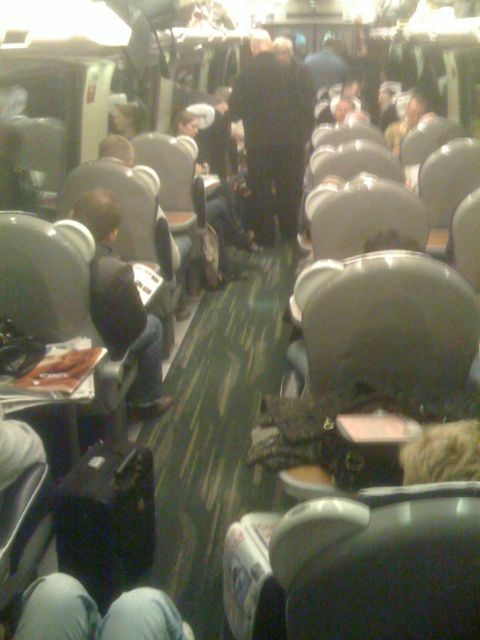 The bloddy train was so full from Birmingham onwards I had to stand up and shut up, despite the fact the majority of people in 1st had standard tickets, the entire train had been downgraded, so no free seats anywhere. I just wish I had know it before I paid extra.